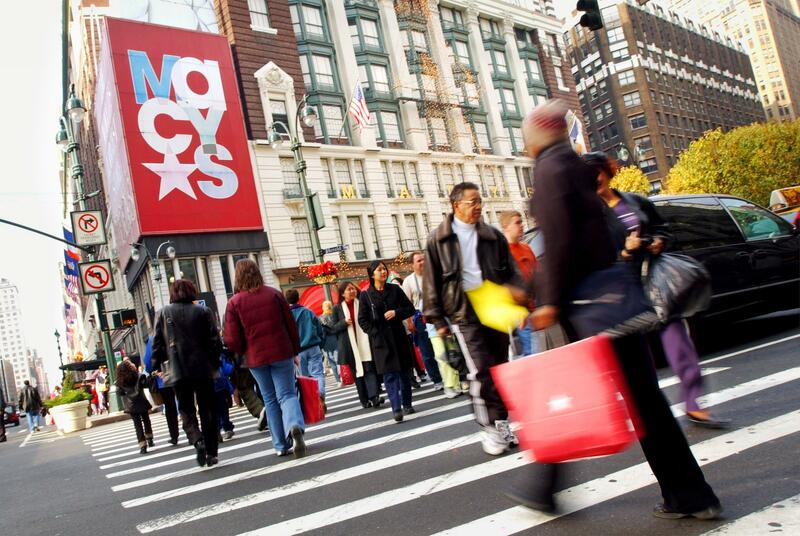 Is Macy's Getting Ready To Cash In On Its Manhattan Flagship? As its growth in sales and earnings has come under pressure in recent years, Macy's (NYSE:M) has taken a greater interest in monetizing part of its vast real estate portfolio. The company is on track to exceed its asset sale guidance in fiscal 2018, after having brought in more than $1 billion from real estate sales in fiscal 2016 and fiscal 2017, combined. The company's most valuable asset by far is its Herald Square flagship store in Manhattan. In the past, management has talked about studying ways to capture more of the value of that real estate -- but without committing to any definitive plan. However, a seemingly innocuous office lease that Macy's signed recently suggests that it could be close to moving forward with a plan to unlock the real estate value of its flagship store. Assessing a property's value is extremely tricky, especially for a building as old and as large as the Manhattan flagship store. That said, independent analysts agree that the flagship store, which is the fourth most visited tourist attraction in New York City, is worth a huge amount of money. Three years ago, a hedge fund agitating for change at Macy's estimated the store's value at nearly $4 billion. In 2015 and 2016, Macy's considered trying to get the property rezoned so that it could build one or two office or hotel towers above the main building. And in early 2017, then-CFO Karen Hoguet stated that the company was "continuing to work on opportunities to create value at Herald Square" and described that project as one of its "top priorities" for the year. At an investor-day meeting a few months later, Macy's real estate executive Doug Sesler revealed renderings of a potential rooftop garden with restaurants as part of a broader plan to "activate" the upper floors of the Herald Square building. However, throughout 2018, there was silence from Macy's with regard to its plans for the Manhattan flagship store. Now, that could be about to change. Last week, real estate firm Tishman Speyer announced that Macy's had agreed to lease another 300,000 square feet of creative office space at The JACX, its new project in Long Island City, just outside Manhattan. Macy's had previously committed to 567,000 square feet of space there. Originally, Macy's had planned to move just its Bloomingdale's division's offices to The JACX. Now, it plans to use more than half of the space for the Macy's merchandising organization, which is currently based at 11 Penn Plaza: three blocks from the Herald Square flagship store. Macy's expects to move into the new offices in Long Island City in early 2020. Yet its lease at 11 Penn Plaza runs through 2035. It's possible that Macy's just plans to sublease its office space at Penn Plaza. However, another possibility is that it will relocate employees who work in office space above the flagship store to 11 Penn Plaza. If it takes the latter route, that could free up a lot of space. The 2.2 million-square-foot Herald Square building has just 1.2 million square feet of selling space. Macy's offices occupy a large portion of the upper floors of the building. Macy's shares have plunged in recent months, as the company's sales growth has slowed again, leaving the stock trading for less than 8 times forward earnings. The company's market cap is now less than $8 billion, just twice the potential value of the Herald Square building alone. Indeed, the company's real estate is probably worth considerably more than its enterprise value today. Investors seem to have given up hope that the company will do anything to cash in on its most valuable property. Yet with Macy's planning to move a large part of its corporate workforce from Manhattan to Queens, the company may be almost ready to move ahead with reimagining its Manhattan flagship store. It's hard to estimate the financial impact of any potential real estate move with respect to the Herald Square building. There are many potential uses for the upper floors, including condos, office space, or a hotel. Furthermore, Macy's is unlikely to go it alone on a redevelopment project, but it could choose to participate through a joint-venture structure -- or it could opt to sell the upper floors of the building to a developer. What's clear is that the opportunity is enormous. And while company executives haven't said much about their plans for the Herald Square flagship recently, that could change very soon.